Now that spring is just around the corner, the leaves are budding on our backyard trees. This means we are beginning to get more and more backyard visitors. We like to entice them to visit by keeping our bird feeders stocked with bird seed all spring. But, sometimes, we like to make our own bird feeders. We decided to use what we had on hand. We stockpiled empty toilet paper tubes so we could turn them into bird feeders. Gather your supplies, and get started. 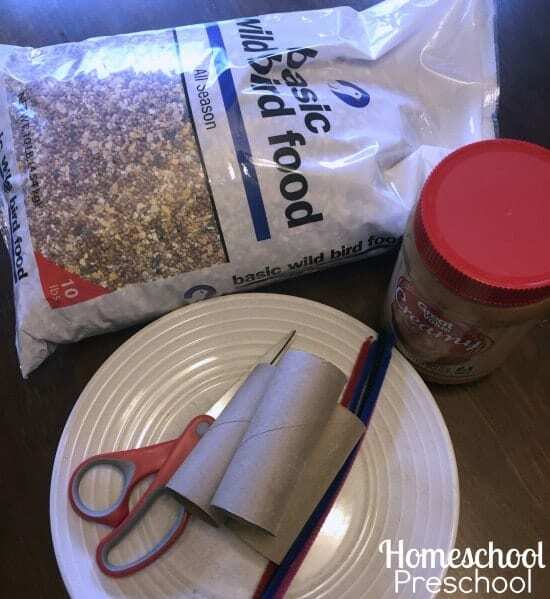 All you’ll need is empty toilet paper tubes, string/twine/pipe cleaners to hang them, peanut butter, and bird seed. Preschoolers can do most of this project on their own. 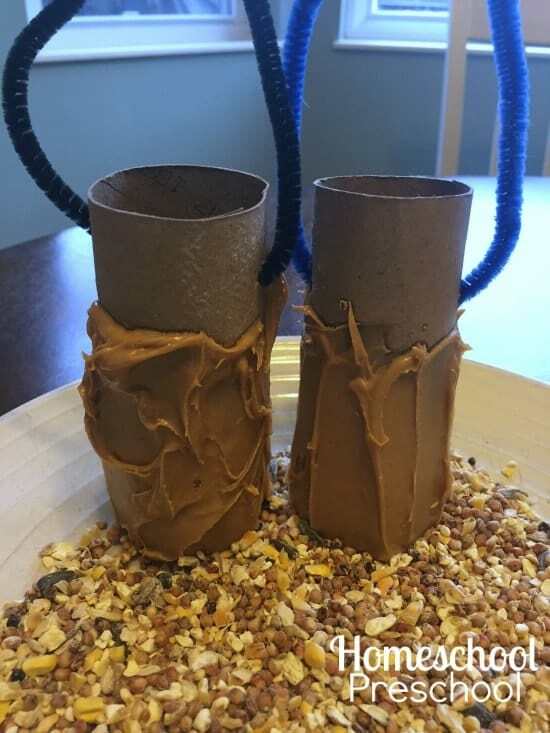 Using an icing spreader or butter knife, let them coat the outside of a tube with peanut butter. Next, roll the coated tubes in a shallow dish full of bird seed. Shake off the excess seeds. This part can get messy so you may want to do it on the patio or deck. Tie the twine/string/pipe cleaners through the tube, and hang it on a nearby tree. We like to put some in our front trees to see while we’re homeschooling. Then, we put some in our back trees to see while we eat in the kitchen. 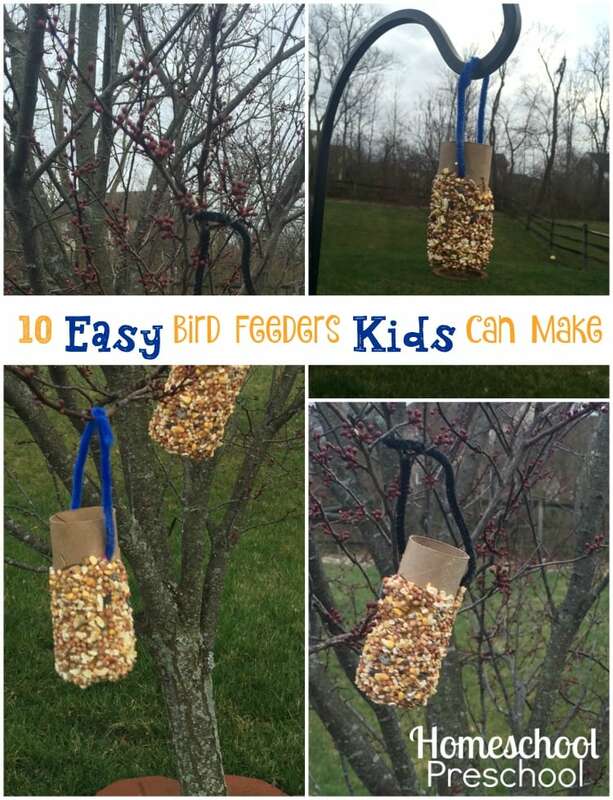 East Coast Mommy shares three different kid-made bird feeders. Life Over C’s shares three activities you can do with bird seeds including making a bird feeder out of craft sticks. Mama.Papa.Bubba shows how to make bird seed cookies (for the birds, of course), and she shares a how-to for making citrus cup bird feeders. Buggy and Buddy uses old picture frames to make bird feeders. What a unique idea! 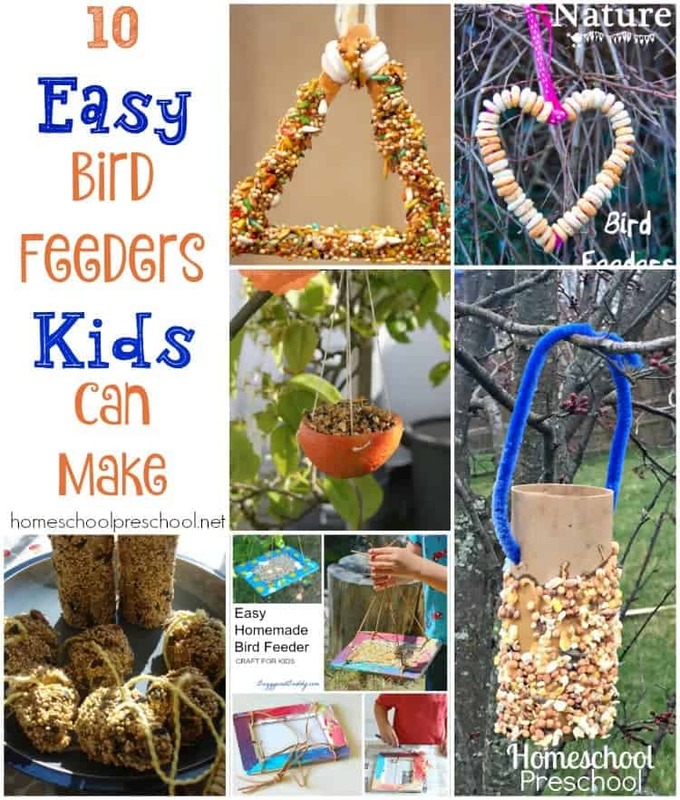 Kids Craft Room uses pipe cleaners to shape her bird feeders. The scarecrow bird feeders over at Castleview Academy will look wonderful in your yard any time of year!